This joint initiative by the Inter-American Development Bank (IDB) and the OECD seeks to encourage the expansion of broadband networks and services in the region, supporting a coherent and cross-sectorial approach, to maximise their benefits for economic and social development. Drawing on a wealth of experience from LAC and OECD countries, the Toolkit outlines the main policy objectives in this area and provides guidance for their measurement, an overview of developments in the region, and a compilation of good practices in several areas related to broadband policy making. This comprehensive volume encompasses a wealth of areas including digital strategies, regulatory frameworks, spectrum management, competition and infrastructure bottlenecks, broadband access, affordability, sector taxation, inclusion, convergence, regional integration, education, skills, business uptake, entrepreneurship, local content, e-health, digital government, consumer policy, and digital security and privacy. Broadband networks are the foundation of digital economies. Increased availability and effective use of the services enabled by broadband can advance social inclusion, productivity and good governance. A range of challenges has to be overcome, however, in providing readily accessible, universal and locally relevant broadband-based services in many parts of the world. In the Latin American and Caribbean (LAC) region, some 300 million people have no access to the Internet. While new generations of broadband networks are rapidly emerging, much remains to be done to expand the necessary infrastructure and to encourage individuals, business and governments to make the most of what broadband has to offer. Increasing connectivity and the use of digital services in the LAC region will require policies and practices that address major supply and demand issues in a holistic and coherent manner. 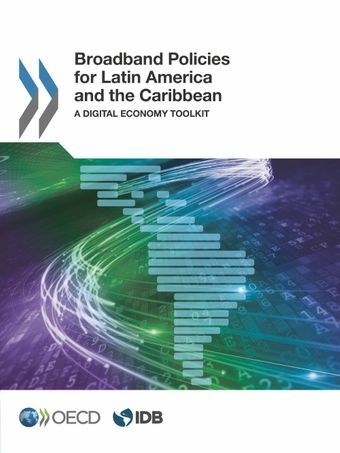 The Broadband Policies for Latin America and the Caribbean: A Digital Economy Toolkit sheds light on good practices and case studies, based on a whole-of-government approach. Its aim is to offer public authorities an overview of the policies, regulatory practices and options that can maximise the potential of broadband as a driver of economic and social development. The 15 chapters of this Toolkit cover a broad array of topics on broadband policy making, from digital strategies, regulatory frameworks and spectrum management, to competition, access, affordability and taxation, including education, skills and business uptake, as well digital security and privacy.